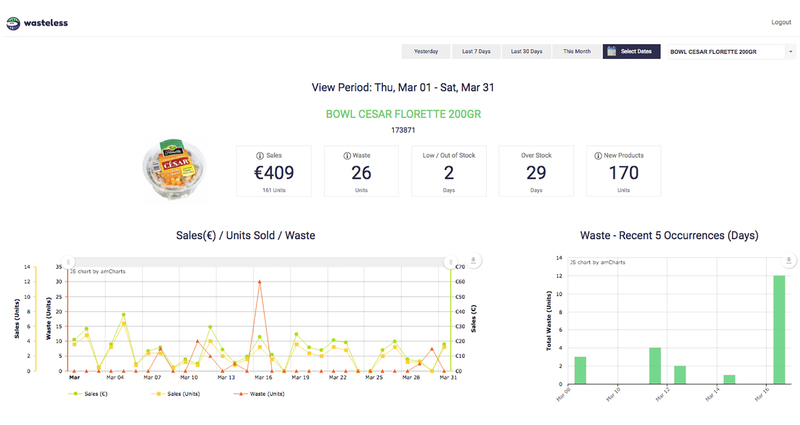 In November 2017, an international Spanish retailer selected Wasteless to assess whether Wasteless' Dynamic Pricing technology could help improve the key critical elements in the retailer's operations. 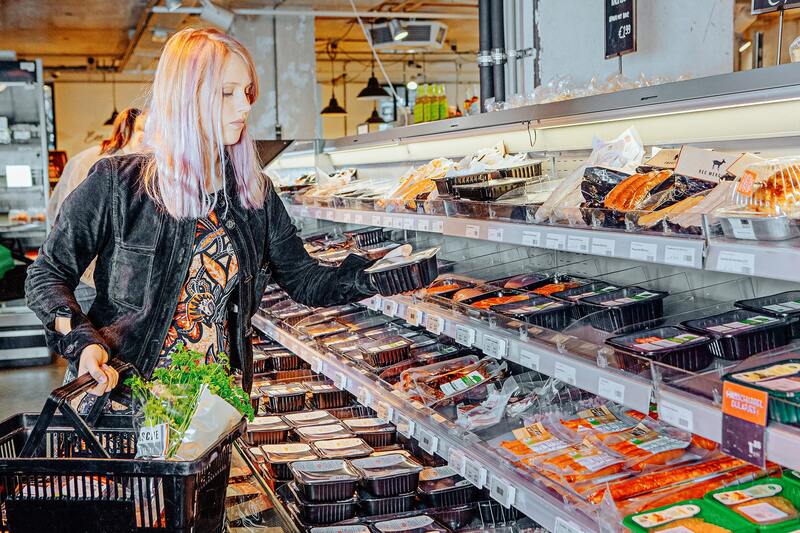 The retailer's food waste problem in stores. The retailer's lost revenue due to inefficient inventory management. 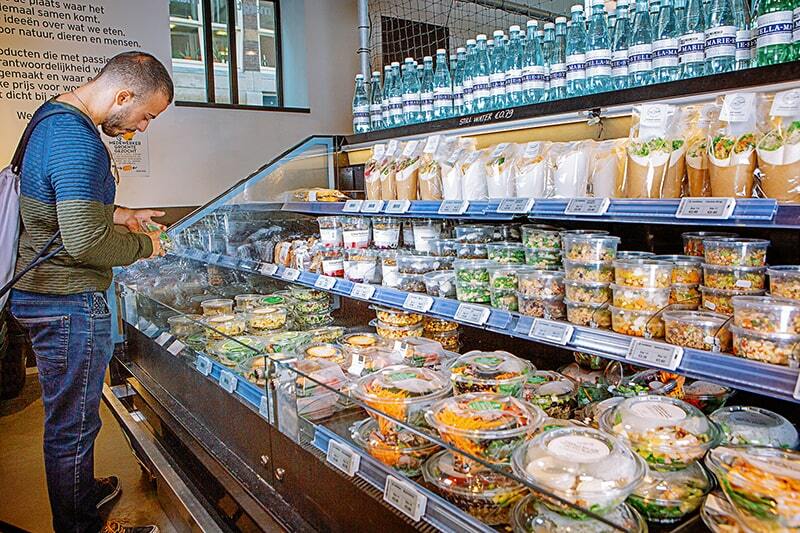 The pilot included deployment and implementation of the Wasteless system in one of the retailer’s central Madrid stores, which launched in January 2018. 1. Continuous and seamless pricing of items based on their real-time value (RTV), markdown optimization, and featuring prices to consumers using Electronic Shelf Labels (ESLs). 2. Continuous inventory management (by volume and expiration dates), data collection, product onboarding, store monitoring, and integration with the Point-of-Sale system. The pilot included technical POS integration, ESL system installation, Wasteless Local Server Setup, staff training, as well as product, system, and operational feedback and improvements. Launching the live-in-store system, with minimal impact on IT resources, was made possible within 3 weeks of the kickoff meeting. A leading Spanish retailer and Wasteless conducted a pilot across fresh food products. During the pilot, Wasteless was able to reduce average monthly waste per product from 2.8 units to an average of 2.14 units. Likewise, overall waste in the store decreased by an average of 32.7%, while boosting revenue by an average of 6.3%. Moreover, 70% of the sales of pilot products were sold when consumers had a choice between a discounted product with a shorter expiration (i.e., price generated by the Wasteless pricing engine) and the same product for its full price and a longer expiration. (In many cases, three or more possible expiration dates were available on the shelf.) In two-thirds of cases where consumers were faced with a choice, they chose the discounted product, while in one-third of cases, they chose to purchase the product at the full price. Of these instances, when consumers had two price points to choose from and opted for the full-priced product, 45% of the time they didn’t actually choose the longest expiration date available on the shelf. This could mean they were indifferent toward the new pricing system, or they simply didn’t notice. This revealed that consumers exhibited a variety of attitudes in the store; 70% wanted short expiration dates at a cheaper price, and of the 30% who did not, 55% chose the product with the longest expiration date available whereas 45% chose the product with a middle expiration date, while still paying full price. The pilot confirmed the presence of a clear customer preference toward discounted products, even with shorter expiration dates, to full product prices with longer expiration dates, when both pricing options were available on the shelf. 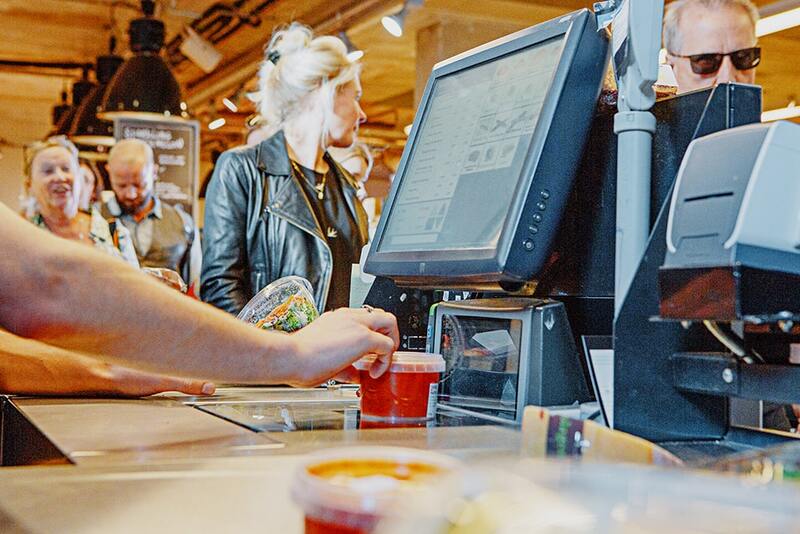 In a similar manner, Wasteless integrated with the retailer's POS system to receive all transaction information relating to the products included in the pilot. 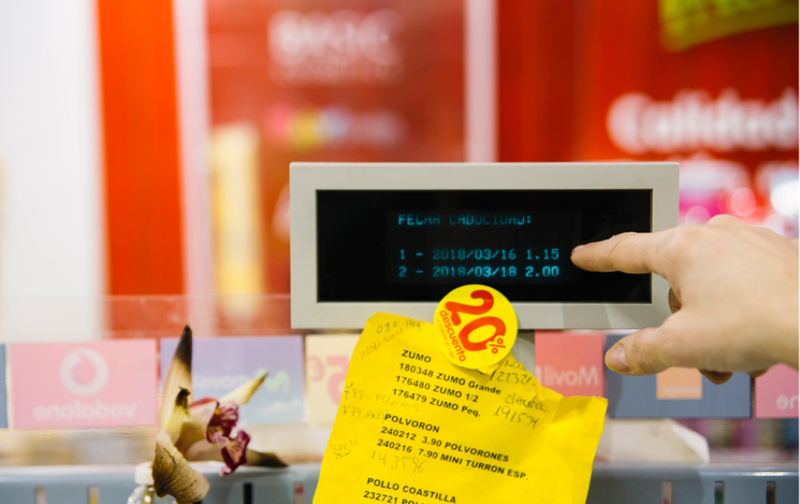 When a participating product was purchased, the POS system would pop up with expiration-date options for the cashier to choose from. Based on the chosen date, the correct price for the product was applied. Marketing and communication efforts regarding the new in-store system were minimal, with the notion of testing the system and customer intuitiveness and interactions conducted in the most authentic manner. Because ESLs were novel to the retailer, we decided only to place a sign that explains the rationale for using Wasteless as a form of responsible consumption. The rest was left to the customer. The system allowed the retailer to track its inventory for each product per expiration date, as well as the sales data. As part of the pilot, the retailer's employees used the Wasteless Mobile App, with which they onboarded new products arriving daily at the store, including their quantity and expiration date. Likewise, they edited the inventory data presented on the app in real time, deducting any expired or defective products that were removed from the store’s inventory. The KPIs were measured on a SKU and at the store level for the products in the pilot. In addition, Wasteless measured per SKU out-of-stock and overstock levels as indicators of store ordering efficiency, because these factors impact Wasteless' ability to meet its KPI goals and improve operations. Waste refers to expired products, and does not include defective products, theft, or any products returned by the store or removed from the shelves due to any other reason. The main planning stages before the commencement of the pilot included a kickoff meeting where various aspects of the business were reviewed (e.g., logistics, operations, in-store processes, the POS system, and the markdown policy). Likewise, historical waste and revenue data of the store participating in the pilot were reviewed by Wasteless, and the KPIs were set. The retailer selected the products for inclusion in the pilot. As depicted in Diagram 2, the standard development and testing process would ideally include various steps, some of which were not fully implemented in the pilot (e.g., ERP and App integration). This was made possible because Wasteless had an auditor in store daily who could monitor, detect, and report any issues, as well as deliver any missing information received from the ERP system. Moreover, instead of integrating with an existing retailer app, Wasteless provided employees with a smartphone and the Wasteless App. At the end of each development stage, Q&A and testing were performed to detect any bugs or issues that should be fixed before launching the pilot. Some of the final testing stages were implemented in the retailer’s laboratory. As part of the preparatory steps for the pilot’s commencement, Wasteless was integrated into the retailer’s POS system. As the owner of the POS system, the retailer assigned a number of personnel on its programming team for the task. The integration took 2 weeks and involved the retailer’s programmers and the Wasteless tech team. Catalogue API: through which the POS sent a daily morning catalogue file, including specific product configuration data, to the Wasteless Server. Pricing API: trough which the Wasteless Server sent the POS periodic pricing files for products on the shelf. Sales Transaction API: trough which the POS notified the Wasteless Server of every item sold. Because the retailer currently does not have ESL-enabled stores, Wasteless used Pricer’s ESL system and installed it inside the store as part of the pilot. The ESL design is typically flexible, and depends on each retailer’s requirements and specifications. In this case, two prices were displayed: the catalogue price and the Wasteless discounted price. Dynamic Pricing Engine - specifically set up with relevant parameters specific to the pilot store. The Dynamic Pricing Engine adapts to each location. Wasteless Dashboard - allows the retailer's employees and executive to view inventory, sales, waste, out-of-stock/low stock, and overstock, at the store and product levels. Wasteless App - was set up to be used by store employees for onboarding new stock and updating stock and shrinkage. This was done instead of integrating with the retailer App. Once the development and testing stage was complete, the system was ready to be installed and tested in-store. After implementation, we performed a dry run to ensure that the system functioned smoothly. The dry run was performed on the day of the installation. As part of testing the customer experience, it was crucial to measure interactions with the system in the most authentic manner. Therefore, marketing was kept to a minimum in-store. Because ESL was a novel concept for the retailer, we decided only to place a sign that explains the rationale behind using the Wasteless system as a form of responsible consumption. We left the rest to the customer. The system flow begins with a store employee using the Wasteless Mobile App to onboard all arriving products included in the pilot to the Wasteless Server inventory. An onboarding process consists of creating a record of the amount of units added, the SKU code (which includes the product's name), and the expiration date of the units. Scanning the case barcode: A case barcode contains the required information for the onboarding process (Picture 3). If the employee scans the case barcode, all data are identified automatically. Any changes, adjustments, or edits are possible in real time throughout the day. The onboarding process occurs once per day, when the products arrive, and is required for any unexpected manual removal or addition of new inventory. The Wasteless Server inventory is immediately updated with the new inventory. 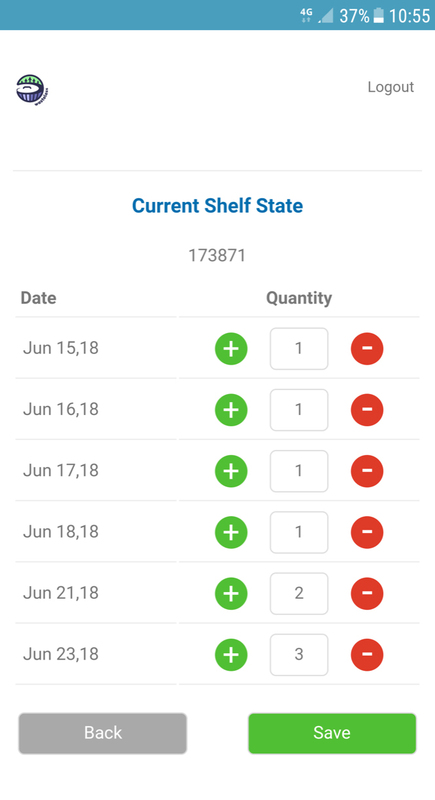 For example, if an employee adds three units of Caesar Salad, with an expiration date of June 23 (Picture 4), then in the inventory, the Wasteless App (Picture 5) and the Wasteless Dashboard (Picture 6) would display all existing inventory, including the newly onboarded products. 1. The discounted price for the shortest expiration date. 2. The full price for all other expiration dates available from the product on the shelf. Once the customer chooses a product, all they’ve got to do is make the purchase, as they usually do. During the pilot, customers encountered a clear and flawless user experience. Consumers came to understand the Wasteless pricing system quickly, and were able to make their pricing decisions easily and proudly. 3. As shown in Diagram 4, in March, 1,494 units were sold, of which 1,037 units were sold under competitive conditions. In other words, the 1,037 units were sold while the consumer had the option to choose between two price options: the catalogue price (i.e., the product’s standard price) and the product’s discounted price (i.e., the price generated by the Wasteless pricing engine). Of the 1,037 units, 692 were sold at a discounted price, while 345 were sold at their full price. Of the 345 units sold at full price, 155 had neither the longest nor the shortest expiration date available on the shelf, but fell somewhere between the two expiration-date extremes. This means that the consumers who purchased these 155 units were most likely indifferent toward the new pricing system, or simply did not notice it. These results revealed the clear presence of the customer’s preference toward discounted prices, even with shorter expiration dates, to full product prices with longer expiry dates, when both pricing options were available on the shelf. The consumer is price sensitive, and in the majority of cases, shows a preference toward discounted products. The flow continues with the checkout process, when the cashier scans the purchased product at the POS. For the retailer, this produces a few date options, from which the cashier can choose the relevant expiration date for the product. Once the date is chosen, the relevant price is applied. In a more integrated setup, the expiration date can be included in the barcode. The GS1 Expanded DataBar is an accepted standard that offers this key element for a seamless process. As new products are being onboarded to the shelves, and others purchased, the inventory listed on the Wasteless Server changes constantly. This in turn leads to new prices for the changing available expiration dates on the shelves. New products are onboarded daily using the Wasteless Mobile App. Store-employees add the product, its expiration date, and the quantity. The Inventory on the Wasteless Server is being updated as new products are onboarded. The Wasteless Pricing Engine generates new prices in real-time as inventory levels change, and sends them to the ESL system which displays the new updated prices. A customer purchasing a product goes through the POS. The cashier swipes the product barcode, which automatically recognizes if the product is in the pilot. The cashier then has to choose a date from the options presented on the POS screen, following that the relevant price is applied. Inventory levels are automatically updated in the Wasteless Server as products are purchased. The Wasteless Pricing Engine keeps updating prices as needed throughout the day according to the real-time inventory, and other parameters. The general measurement methodology involved comparing the pilot’s data against historical data from the same store. The retailer provided historical data from the previous year (January to December), which was adjusted for statistical use. A full analysis was conducted by Robert E. Sanders, PhD, at the University of San Diego, reported in his study, "Analysis from the Proof of Concept for the Retailer". As mentioned in his research, measuring impact in a single location does not yield the same statistical significance as a larger and longer deployment. Following this pilot, Wasteless will release additional case studies to demonstrate its ability to attain even better statistical results, with greater accuracy and statistical significance. To ensure maximum data integrity and to detect any issues that might occur during the pilot, Wasteless had an auditor in store daily. The auditor conducted data integrity tests every day to ensure that the system was used correctly, and the processes were executed accurately (e.g., onboarding, checkout, and shrinkage reporting processes). Physical in-store data were recorded and compared against information in the database. Thus, inaccuracies were corrected, and any issues that were detected were addressed and resolved. At the end of each day, a report was generated (Table 1). The report included any inaccuracies and potential reasons that might have resulted in any data mismatch. In addition, it included any orders placed and received that day (data that would have likely been received via integration with the ERP system). Likewise, the supervisor conducted daily adjustments of any quantities of stolen products after the inventory count. The diagram below displays the average historical monthly waste at the store versus the average monthly waste from the pilot. Based on a Wasteless analysis, the Wasteless system was able to reduce average monthly waste per product from 2.8 units to an average of 2.14 units. Likewise, the overall waste at the store was reduced by an average of 32.7%, while revenue increased by an average of 6.3%. Did you notice the new label system? During the pilot, the retailer conducted a customer survey in the pilot store, where participants included those who did and did not purchase the pilot products. The objective of the survey was to gain an understanding into whether customers noticed the new system, and if they did, what was their opinion, as well as any preference they had between the Wasteless system and the previous approach (stickers with % randomized discount). In addition, the survey aimed to collect customer comments and proposals to better understand the qualitative impact of the system. As shown in Diagram 7, 78% of the participants appear to have noticed the system. Because barely any in-store marketing took place or any other communication efforts were made, this is a relatively high percentage. *This is the first time the retailer's customers in this store encountered Electronic Shelf Label pricing. The pilot’s main challenges involved human error during the product onboarding process and the checkout process. These errors can be eliminated with full POS integration, because for the pilot, not all POS features were integrated. Likewise, implementing key improvements in product onboarding can help eliminate any onboarding errors. An alternative solution would be to implement the Wasteless system alongside GS1 DataBar or other data encompassing labels (i.e., RFID) to the products monitored by the system. The data bars or labels would eliminate any onboarding issues and create a flawless checkout process. During the pilot, Wasteless had no control over the timing and volume of new orders placed by the store. This means that many cases of out-of-stock and overstock were unavoidable, despite the out-of-stock and overstock alerts issued by Wasteless. Displaying empty shelves due to the out-of-stock issue leads to pure revenue loss, while carrying too much stock can generate waste and increase the probability that more products will be sold at the minimum price, because products reach the shelf after spending a large part of their shelf life in the inventory refrigerator. 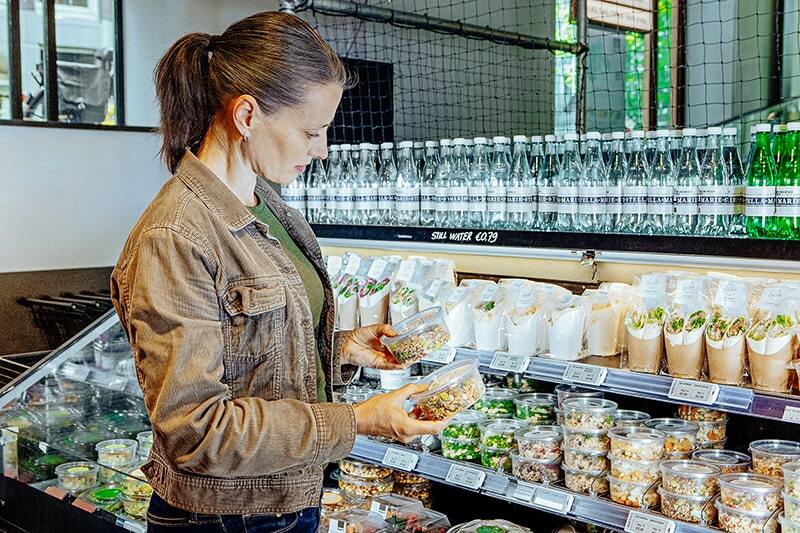 Wasteless mitigates this issue with ERP integration, which enables retailers to manage and optimize orders, as well as view stocks per product, per expiration date, and make smarter ordering decisions. However, in this pilot, ERP integration was not available for Wasteless.